Proprietary Blend is unlike any other L-arginine product on the market today. Cardioware Science’s unique formula is a safe and effective dietary supplement for CVD, Diabetes, Hypertension, Obesity and Anti-Aging. Please look for our new website coming soon! Dr. Siva Arunasalam is the director of the High Desert Heart Vascular Institute and an Attending Cardiologist. He is Board Certified in Internal Medicine, Cardiology, Interventional Cardiology and Certified by the Heart Rhythm Society for the implantation of pacemakers and ICDs. 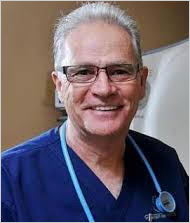 He has over 20 years of experience in Interventional Cardiology. Dan is the clinical director of the CHF/PAH Unit at High Desert Heart Vascular Institute with nearly 3 decades of critical care experience. He helped design a groundbreaking study conducted by HDHVI that continues to show how L-Arginine could help in remodeling of Heart, and Pulmonary Vascular changes. 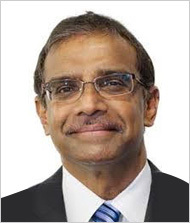 Dr. Siva Arunasalam discusses his background and the need for creating Arginext. Arginext’s unique blend of minerals enables the benefits to be felt for longer terms. As a result, Arginext addresses the need for prevention and improving the quality of life for patients. Dan Austin discusses what makes Arginext so unique and powerful. This supplement is helping patients with heart disease as well as athletes improve their recovery and performance. Arginext Cardio Proprietary Blend is unlike any other L-arginine product on the market today. Cardioware Science’s unique formula is a safe and effective dietary supplement for CVD, Diabetes, Hypertension, Obesity and Anti-Aging. Their formulation has the best bio-availability/absorption insured by using only superior pharmaceutical grade ingredients without fillers. “I just turned 70. I was diagnosed with atrial fibrillation and congestive heart failure in 2002. Since then, I’ve had an echocardiogram every 2 years. My “heart efficiency” has always been in the 22-27% range. I began taking Arginext Cardio several months ago. Recently I had another echo and my Cardiologist was pretty surprised. My exercise capacity significantly improved. “My Husband got diagnosed with an autoimmune disorder that caused severe pain in his joints and throughout his body. In fact, some days I had to assist him in getting out of bed and dressing him. He was prescribed rheumatoid arthritis medication, which gave him some relief, but did not take the pain away completely. Plus, we started worrying about the potential negative side effects of these types of medications. I believe our prayers were answered when I happened to stumble upon Arginext Cardio. Within a couple of months of taking this supplement, my husband felt 100% better than he’s ever felt before. I started reading about the benefits and watching how it was working for him, so I decided to try it myself. I have been taking it daily for about 2 years now. I love participating in dance classes such as Zumba which was causing knee pain for me. After starting Arginext Cardio, I no longer suffer from knee pain. 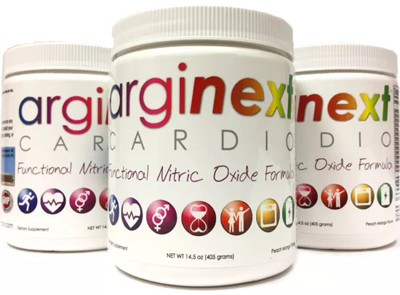 My Husband and I are true believers in Arginext Cardio and will continue to be lifetime users of this amazing supplement. In fact, I’ve shared it with my parents too! They’re believers! “After a year and a half of taking care of my mother in her final days, the stress had piled up. I visited my doctor to get her clearance for dental surgery I had scheduled later that month. We were shocked at my blood pressure reading of 207/100! She was afraid I would have a heart attack or stroke there in her office and refused to sign the release. She prescribed medication, but that day our Arginext Cardio arrived and I decided to try it before the meds. I took 1 scoop in the morning and evening, and in 5 days when I returned to my doctor, my blood pressure was 106/72. She and her nurse were amazed. I got my clean bill of health and was able to proceed with surgery. Since then, my blood pressure has been in the normal range without medication. Everybody needs this!! 2018 Copyright ArgiNext Cardio. All RIghts Reserved.